Wow! It’s been over a year since the last release. I’ve hit a few detours in life and development along the way, but first, what’s in this release. Pandoc.exe is the program that is used to convert GitHub Flavored Markdown to HTML. The latest version is more faithful to the output you see on GitHub. Several of you have supplied bug fixes and new translations. These changes have been incorporated. Thank you very much! I started to rewrite Markdown Edit a while back. The current version is a weekend hack that sort of got away from me. The new code (see the next branch on GitHub) is more in line with current development practices. It uses Prism, Dependency Injection, composition and all those other lovely buzzword compliant technologies. Prism and .NET have been changing quite a bit as of late and that’s caused some issues that I’m still waiting for third parties to resolve. This has taken longer than I hoped. And now Microsoft has finally announced a road-map to bring legacy WPF programs into the .NET Core family. The next branch is well positioned to take advantage of these changes when they arrive. It’s also been a much larger task to rewrite Markdown Edit than I anticipated. It has quite a few features. I revisit each feature and rewrite it to be better and in particular more maintainable. I really like the new code base but it’s slow going. 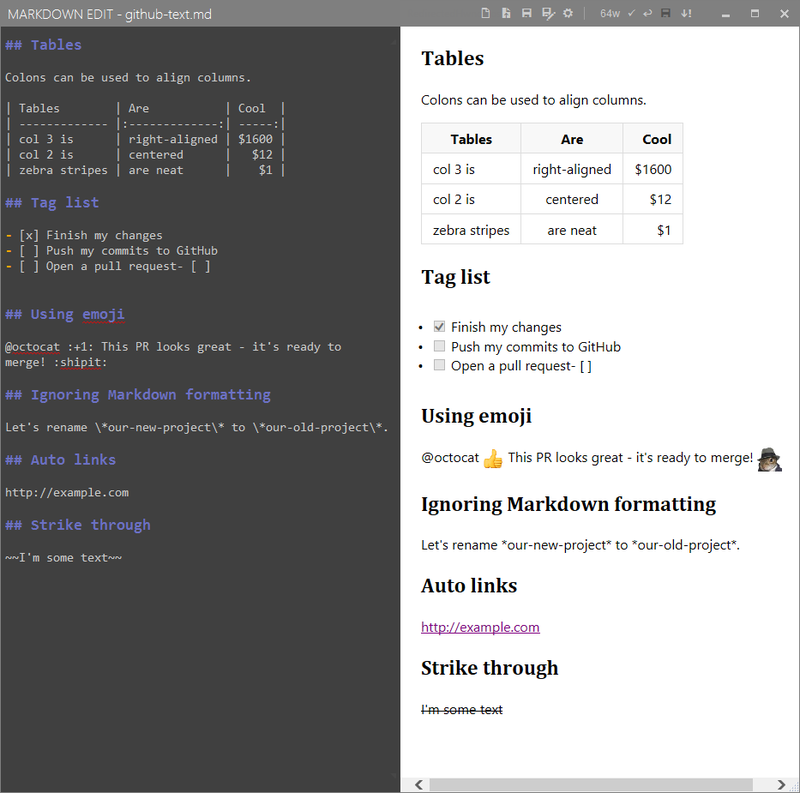 So not many outward changes so far but I’m planning on maintaining and improving Markdown Edit for a long time to come. Hopefully, the new code base will facilitate this goal. My wife has had some serious health issues as well. This has really disrupted our lives and made it difficult for me to work on side projects. Still, we soldier on. Thanks for your patience and support. And to those of you who have donated, you’re awesome!